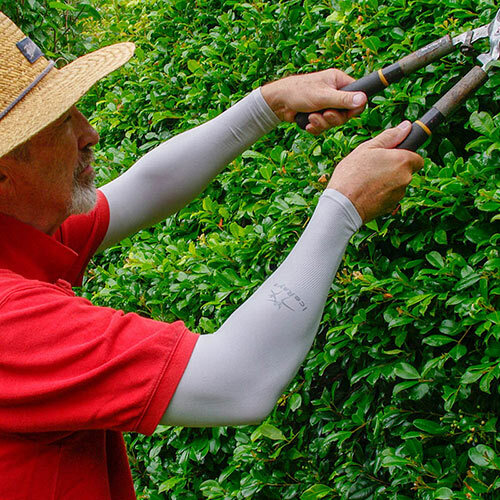 These sleeves are popular with golfers trying to avoid sunburns on the fairways, and we can't believe we never thought of them for the garden before. IceRays have been tested and certified for 50+ UV protection. The material works alongside air movement and moisture present on your skin to keep you cool and protected. It's very comfortable, seem-free and soft, even after machine washing. They're light as air and won't slow you down, in fact the light compression promotes better circulation. 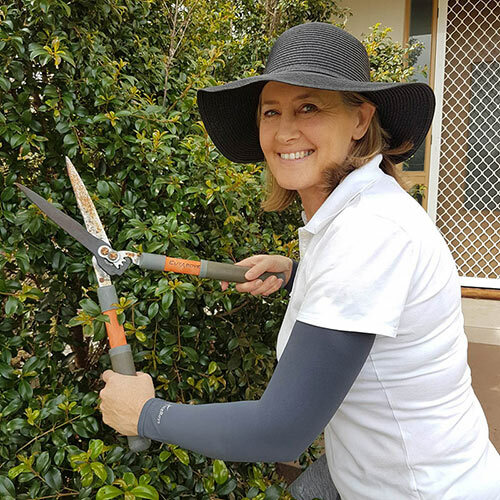 Get all your summer gardening done without having to choose between bearing the heat in stifling sleeves and facing annoying cuts, scrapes and insect bites while you work. We're offering two colors, the darker charcoal color stays nice and neat and won't show the soil, the lighter one provides even more protection against heat, reflecting the hot rays away from your skin. One size fits most.